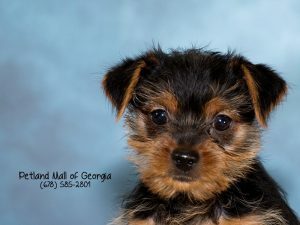 People who love the designer or hybrid dogs will find that our Yorkie Poos for sale are an answer to their prayer. 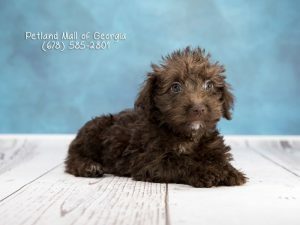 We happily feature these precious pups at both of our Petland locations, in Kennesaw and Mall of Georgia. Want to know what’s “in store” for you? 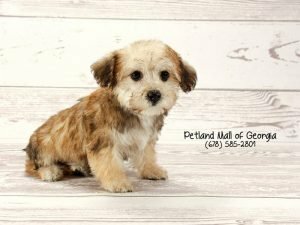 Take a look at some information we’ve compiled about our Yorki Poos for sale. Why are English Bulldog puppies for sale so popular? If you take a look at dozens of institutions all over the world, but specifically in the United States, you’ll see the recognizable face of the English Bulldog used as their logo. Many colleges and businesses have chosen the symbol to show the toughness and tenaciousness that they represents. We can’t blame them! 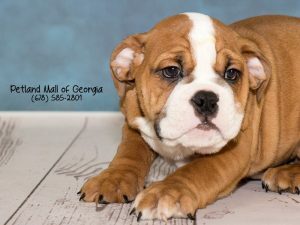 Mistaking English Bulldog puppies for sale with other breeds is not easy, because they are simply unique. The English Bulldog has a nose that is wide and muscular, with a wide head and their cheeks extend on the both sides of the eyes. They have dense wrinkly skin on their foreheads and a distinct mouth. Their jaws are undershot creating a somewhat comical underbite, with their massive jaws! Speaking of their jaws, they’re strong and can hold onto an attacker or animal, which is why they excelled in hunting. English Bulldog puppies for sale have an origin that can be traced back to hundreds of years. They originated from England and were used horrifically during the bull baiting years. They have thankfully moved beyond their tragic history and reputation as being such ferocious characters. Now, you’ll find that English Bulldog puppies for sale have a loving and sweet disposition. They are very stubborn. They walk when they wanna walk and come when they wanna come! Be patient as an owner, however! 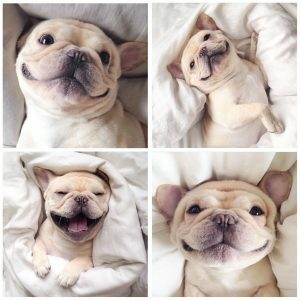 According to the American Kennel Club, Bulldogs were the fifth most popular pet dog in the United States, in 2013. Bulldogs snore even when they’re not sleeping and that’s because of their short snouts and smushed faces. Forget about taking your newly purchased English Bulldog puppies for sale for a swim, because they can’t. Because of the size of a Bulldog’s head, it’s unlikely that they were delivered naturally, but rather via a caesarian section. 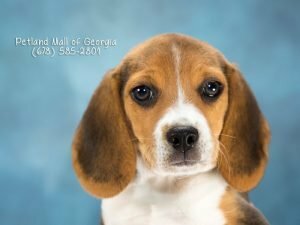 Beagle puppies for sale have a way of capturing hearts across the world and we bet their big brown eyes are to blame for the beginning of the lovefest! Read on to learn why precious Beagle puppies are so wanted! We’ve got some facts to share with you about them. Beagles are gentle, sweet, and funny, providing you entertainment through laughter. Beagle puppies and adult dogs require exercise, so be prepared to give them what they need! Though Beagles are gentle, they are also rather excitable and sometimes quite hyper. There were dogs of a similar size to Beagles were used for hunting in Greece in the 5th century. Beagle puppies for sale were recognized by the AKC in 1885 and won Best in Show in 2008. In the 1840’s, four different standards of Beagles were developed. They were the: fox Beagle, medium Beagle, the rough-coated/terrier Beagle and the dwarf/lapdog Beagle. 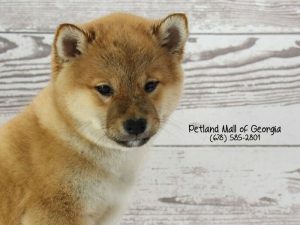 This breed has been described as having a “nose with feet,” because once it has picked up on a scent, it won’t let it go! Talk about persistence! Well trained Beagle puppies for sale can learn approximately 50 different scents. The small and friendly Beagle is used to sniff around unsuspecting visitors at airport security, also allowing it to get into small spaces to check cargo and airmail depots. Beagle puppies for sale are prone to hip dysplasia. Cherry eye is a condition that is also known to afflict Beagles. This is when the gland under the third eyelid protrudes at the corner of the eye. Surgery may be required to fix it. Some Beagle puppies for sale that look uniquely smaller than the rest of their litter may be afflicted with Beagle dwarfism. Besides their smaller size, they may have other deformities. Beagles are pretty darn strong willed, so pull out all of your patience and persistence when you’re teaching them commands. They will catch on eventually! Start out by teaching the Beagle puppies for sale that you’ve purchased simple, one word commands. Be sure to use them consistently to avoid confusion. Believe it or not, Homeland Security of the US Government has a Beagle Brigade that is used to sniff out organic contraband at airports. See, all that training does pay off! Boxers for sale are constantly winning the hearts of families. 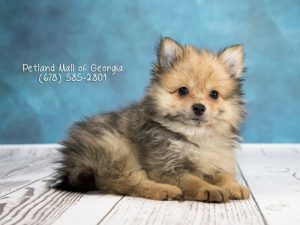 Whether it’s their sometimes goofy and playful stances or their upright and regal poses, they are loved. Instead of technical talk about the Boxer breed, we’re going to share 5 less commonly known things about Boxers for sale. Take a look! The roots of Boxers can be traced back to the now extinct Bullenbeisser, which was a dog of Mastiff and the English Bulldog descent. Also known as the Boxl, it was trained to hunt large game such as boar, bear, and deer. They were exceptional hunting companions, because they were extremely fast and held a rightful reputation for its powerful jaws. 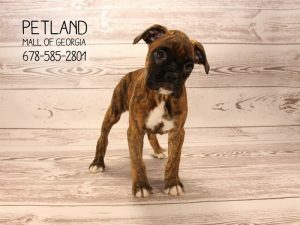 Today’s Boxers for sale are still regarded for their athleticism, running 38 to 45 miles per hours, making them one of the fastest dog breeds. It seems there’s a category for everything, so there’s no wonder that Boxers hold one. The Guinness World Record for the longest dog tongue in the world belongs to a then 7 year old Boxer. In January 2002, a Boxer named Brandy, had a tongue that measured 17 inches long. The previous long tongue title holder belonged to a Pekingese with a mere 4.5 inches. Before Boxers for sale were household and family favorites, they were originally and almost exclusively used as working dogs in World War I. They were used as messengers, pack carriers, guard dogs, and attack dogs. After World War II, the soldiers brought the dogs home and they were rapidly integrated into domesticated and family homes. Boxers for sale are either one of two colors: fawn (tan) or brindle (a tan coat with black stripes). The boxer dog breed does not carry the gene for a solid black coat; therefore, purebred black boxer dogs do not exist.